Mieczysław Bujak – a man with an unusual biography, which, at the same time, was quite typical of the epoch. He was born in 1926 in Krakow. Father, a member of the Polish Legions and then a famous football player of the Wisla Krakow club, brought up his son to be an ardent patriot. In the 1930s Mieczysław was active in the Polish Scouting Organization, in 1942 he became a soldier of the Home Army and distributed underground press. A year later he was delegated to a military sabotage group. Then he joined the American army. 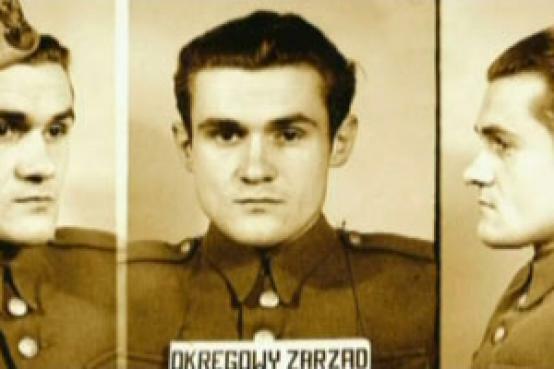 For all that he was sentenced to death in the post-war Poland and executed in 1951.
do biografii series (among others, an episode on Andrzej Szczypiorski, 2007).